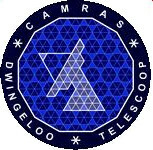 In just over a month, the Dwingeloo radio telescope will have its 60th birthday, and we will be holding the EUCARA-2016 conference. We’re working hard to organize it, and the response so far has been very good. We’ve already received over 40 registrations, and the program is filling up nicely with a dozen presentations so far. Subjects range for observing Hydrogen or pulsars, big and small SDRs, to building all kinds of equipment for radio astronomy. There is still a very small number of slots available for more presentations. Apart from that, we’re also organizing a large number of activities on the Saturday, April 16th. You can of course visit our radio telescope, and CAMRAS will demonstrate astronomical observations with it. You will also be able to visit our newly renovated clubhouse, where some of the activities below will be located. There will be live demonstrations of meteor echo receiving, and we will have an inflatable planetarium for some daytime stargazing. The ‘Measurement Lab’ club will demonstrate their techniques for accurate measurements of frequency, phase and time intervals. If you have any equipment that you want to bring to have tested/calibrated, please let us know in advance. In the evening, while enjoying dinner together, we can continue to discuss radio astronomy in an even less formal way. If you have signed up for both days, we’re assuming that you will attend the dinner as well – please let us know if you can’t, or want to bring someone along. And on Sunday, after more presentations, we will take a tour of the Westerbork Synthesis Radio Telescope, one of the premier instruments in its field. If you haven’t already done so, make sure to sign up by sending mail to org@eucara.nl. We need your payment to conclude the registration, and participants must arrange their own accommodation for the weekend. Finally, don’t forget about our icebreaker reception on Friday evening, April 15th, where we can get a head start on what promises to be a great weekend. We’re already looking forward to seeing you all next month. Sigrid, Harm & Paul – the EUCARA-2016 organizing committee.